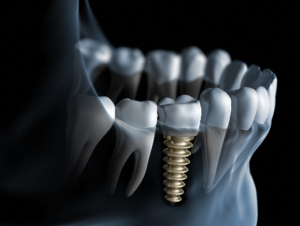 When it comes to replacing your missing teeth with dental implants, there is no set price tag. There are several factors that influence their cost. As a result, the amount your neighbor paid for their procedure will not be the same as what you will pay. With dental implants costing more than traditional treatment options, like dentures, you may be tempted to choose a dentist in Millburn who offers the lowest price, but the cost should not be the determining factor. Although everyone enjoys saving money, you will get what you pay. There are several other important aspects to consider when choosing a dentist. Number of Teeth: The number of teeth that need to be replaced will influence the price. While replacing multiple teeth will cost more than a single-unit implant, the bridge or denture will be more affordable than if you were to replace each tooth individually. Materials: Dentist who offer lower rates often use lower quality materials, which can compromise their long-term success. When choosing a dentist, it is better to pick one who uses high-quality materials to make a true investment in your smile. Additional Procedures: It is not uncommon to need additional procedures, like tooth extractions or bone grafting. Although they will increase the cost, the are necessary for a successful treatment. Specialists: In some cases, you may need a specialist for a certain aspect of the procedure, such as the implant placement or anesthesiologist. You will have to pay their fees in addition to your regular dentist’s fees. Dental Insurance: Often, dental insurances do not cover the cost of dental implants; however, depending on your specific policy, they may cover certain aspects of the treatment, such as the crowns. If you are concerned about the cost of dental implants, do not let that hold you back from getting a complete smile. Schedule a consultation with your dentist to receive an estimate for your procedure. Dental Charm provides modern, convenient, and comfortable care to help you achieve optimal oral health. If you are suffering from tooth loss, we offer the solutions you need, including dental implants. Contact our office today to schedule your consultation for a complete smile.